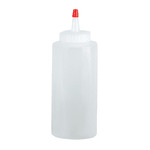 The San Jamar P8012 professional squeeze bottle has a fine tip that is excellent for plating, decorating, or storing product. 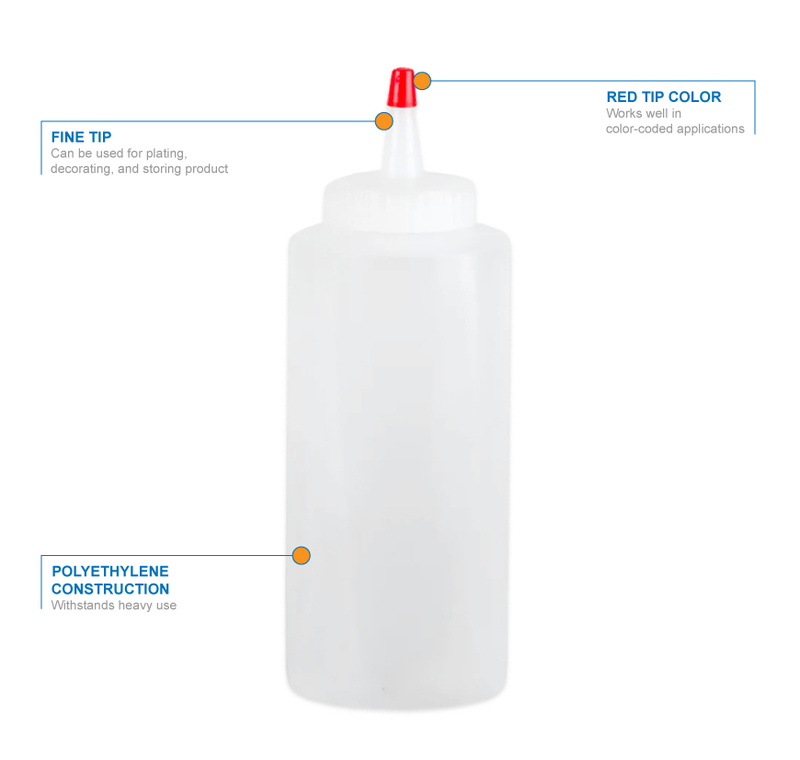 It can be cut to suit specific applications and works well in a color-coded system since it is red. Because the bottle is made of polyethylene, it is durable for commercial use. It has a 12-ounce capacity.